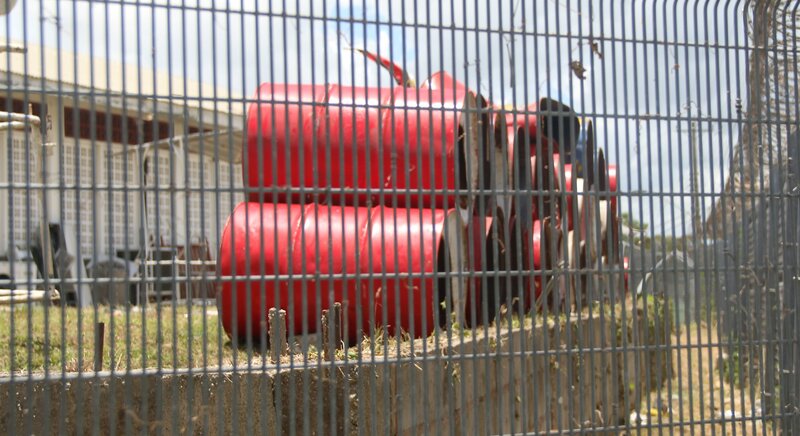 MEMBERS of the Old Tech Steel Orchestra woke up yesterday morning to find their pans dumped at the back of the compound of the San Fernando West Secondary School at Farah Street. Leader and arranger Sean Ramsey said the band was unceremoniously kicked out from where it was birthed in 1994. However, the Ministry of Education said while it cannot determine legality or illegality of the action, this is two and a half years overdue. An official at the ministry said Ramsey was given notice to vacate the premises three years ago. The official said Ramsey asked for a six-month grace period which was granted, but two and a half years have elapsed and he refused to adhere to the notice. “The official said there are several reasons for the band to relocate, among them the fact that it is no longer a school band, but a private band using the compound. Concerns were also raised about the supervision of the players and incidents of break-ins and vandalism on the compound whenever there was band practice. Ramsey disputed allegations of non-supervision and vandalism saying they were just excuses by principal Ronald Mootoo to get the band out. He explained the genesis of the band evolved from an idea by the then principal to use the instrument to keep restless children out of trouble. Ramsey, one of the founders of the band, said it worked and the band brought many trophies and recognition for the school over the years. He said sometime ago they decided to make the band more national in scope as a lot of its players were aligning themselves to some of bigger conventional bands, but they continued to use the compound. Old Tech was a finalist in the 2018 Panorama competition and is practising for Borough Day celebrations in Point Fortin scheduled to take place next month. “Since August last year we signed a form to use the school, but it was rejected by the principal. Since then there have been uphill challenges with the principal saying the players, who are mainly past and present students, lacked supervision. Ramsey said he sought the intervention of former school supervisor Claire Telemaque and even had a commitment from Minister in the Ministry of Education Dr Lovell Francis to intervene. “Dr Francis promised to make an intervention, but like Cro Cro was right because you calling them and they not answering their phones now,” referring to the 2018 Calypso offering of the bard. He said since last August they were debarred from the compound and Hatters Steel Orchestra came to their rescue allowing them to store some of their equipment and practice at their Lady Hailes Avenue pan yard. Ramsey is now calling on Pan Trinbago to assist them in getting a home so they could continue to pass on the pan-playing legacy and develop the youths for a career in music like so many others who have emerged from Old Tech Steel Orchestra . Reply to "No home for steelband"